Snow Kiting In Wilderness | Keeping Wilderness WILD! I recently came across an on-line forum asking whether “snow kiting” is allowed in Wilderness. While snow kiting in Wilderness might still be a rather rare activity, the question bears quite heavily on a variety of activities and the future of the National Wilderness Preservation System. For those unfamiliar with the sport, snow kiting is an offshoot of kiteboarding (a water sport), but conducted on land and on snow. Like kiteboarders, snow kiters use large inflatable kites – some are similar to parasails – that allow the wind to pull them along or to jump and glide in the air for seconds at a time. Kite lines run to a snow kiter’s harness and handle, which are used to maneuver the kite. Though many snow kiters use snowboards, some telemark and alpine skiers also use kites as part of their sport. Snow kiting in units of the wilderness system seems to have increased in recent years. But I believe snow kiting violates the Wilderness Act, even though the federal agencies have been slow in writing specific rules spelling out such a ban. I hope that soon, before this use becomes too entrenched in units of the wilderness system, all four agencies will ban snow kiting in Wilderness for two main reasons. Mechanical Transport. Any contrivance for moving people or material in or over land, water, or air, having moving parts, that provides a mechanical advantage to the user, and that is powered by a living or nonliving power source. This includes, but is not limited to, sailboats, hang gliders, parachutes, bicycles, game carriers, carts, and wagons. The National Park Service also appears to have prohibited snow kiting in Wilderness, though under its regulations that govern aircraft (snow kiting meets its definition of aircraft in the Code of Federal Regulations) and “aerial delivery,” and not under its regulations prohibiting mechanical transport in Wilderness. As a result, the Park Service has prohibited snow kiting in Glacier National Park’s Recommended Wilderness as well as in other national park Wildernesses. In addition to violating the ban on mechanized travel, snow kiting runs against the grain of the types of recreation the Wilderness Act sought to provide. The law defines Wilderness in part as providing “a primitive and unconfined type of recreation….” Snow kiting is clearly not this type of primitive recreation envisioned by the Wilderness Act. Second, beyond the legal violations, snow kiting should be banned in Wilderness because the activity makes Wildernesses less wild. This is not about snow kiting’s physical impacts on Wilderness, but about our relationship to Wilderness. Snow kiting is a modern transportation method, not one envisioned by the founders of the Wilderness Act or the ideals behind it. It is not travel by primitive means. It ignores the humility and restraint that Wilderness Act author Howard Zahniser urged us to use in our relationship to Wilderness. Wilderness is in part about preserving and experiencing these places from an earlier time and an earlier pace of travel, such as by foot, horseback, or canoe. According to the Wilderness Act, designated Wildernesses are to be “in contrast with those areas where man and his works dominate the landscape….” If snow kiting and other yet-to-be-created transportation means are allowed in Wilderness, that contrast will be increasingly diminished and indistinct, and Wilderness will cease to be that special place set apart from modern civilization. I believe that we must stand up for that distinction or we open the door to untold and unforeseen levels of non-human- or non-animal-powered transportation in Wilderness, making Wilderness little different from the rest of our human-dominated landscape. I understand the concern expressed by some that any restrictions short of an outright ban on all mechanical devices (including, for example, a ski binding) would be somewhat arbitrary. But it seems that the most reasonable, protective, and defensible rule is one rooted in the methods of travel in common use at the time the Wilderness Act was passed. This is the approach a federal court took when several members of the Chippewa (also called Ojibwe or Anishinaabe) tribe challenged the prohibition on snowmobile use while exercising their treaty rights to fish in the Boundary Waters Canoe Area Wilderness in Minnesota. The court relied on the fact that Band members traditionally accessed the area by canoe or on foot at the time of the 1854 treaty, and therefore the Wilderness Act’s ban on modern snowmobiles didn’t constitute an infringement on treaty rights. If we don’t keep wilderness protections anchored to something solid like the primitive modes of travel contemplated in the law, what’s to protect Wilderness from any whimsical fad, recreational pursuit, or technological advance that comes its way? Kevin Proescholdt is conservation director (and former board president) for Wilderness Watch. 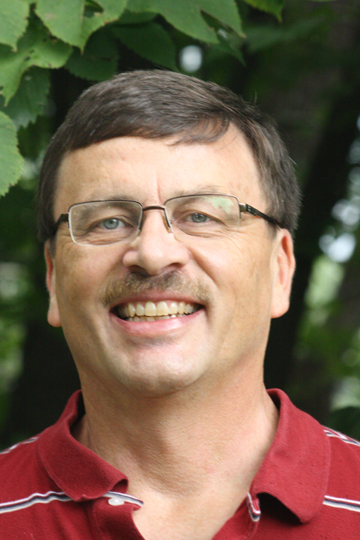 He has written extensively on the Boundary Waters, and wilderness policy and history.